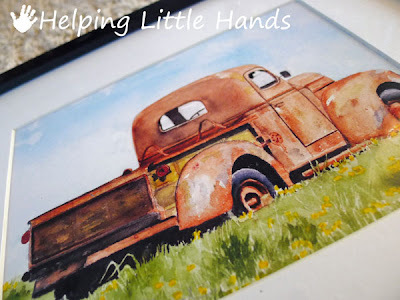 No, the idea isn't old or rusty...that's just the name of the print. My mailbox has been happy lately. 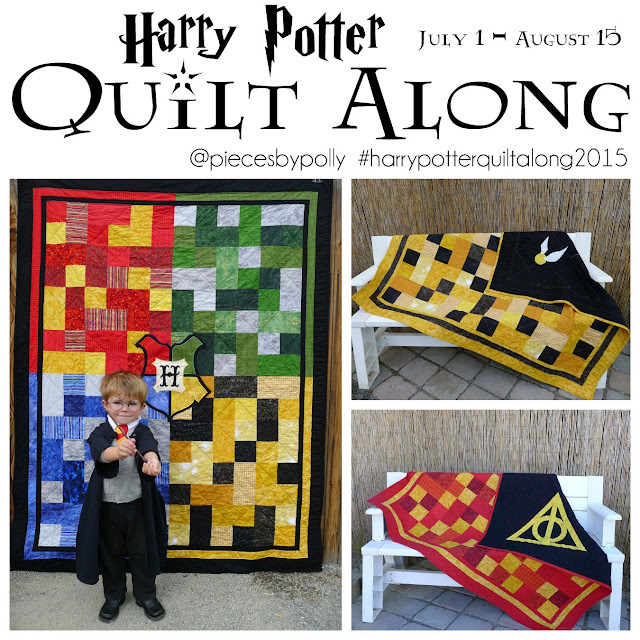 Several of you read this post about my friend's son Jackson and his fight with histiocytosis, and you sent some lovely things to sell at the upcoming bike-a-thon our town is holding to support histiocytosis research. 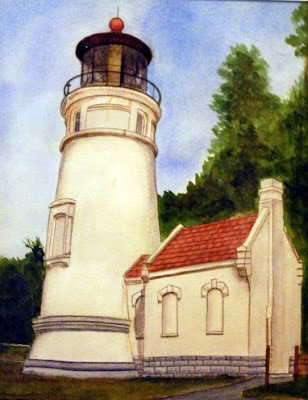 Shirleen of Shirleen Bland's Art Studio offered to send one of her prints, and I had to show it to you because it would make such a wonderful Father's Day gift. 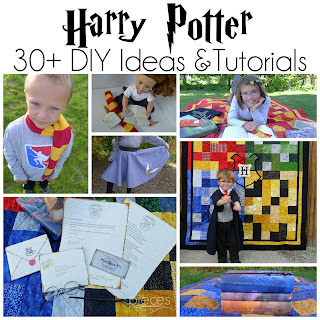 So many Father's Day ideas on craft blogs are some variation on ties themes or kids' craft. 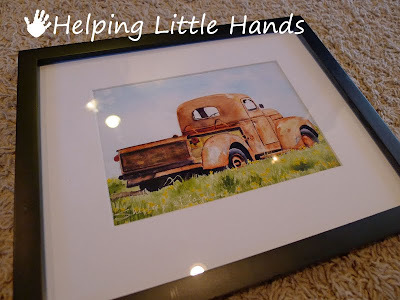 I think a print like this as a gift is so refreshing! Isn't there a Dad or Grandpa in your life that would love to have this print in his office...or workshop...or nightstand. You can order your own print here. My mom recently redid her photo wall and gave me a bunch of frames, so now I just have to decide which one to use. Which one do you think it looks better in? I was thinking it needed a mat, but I feel like the wooden one matches the colors and feel of the picture better. 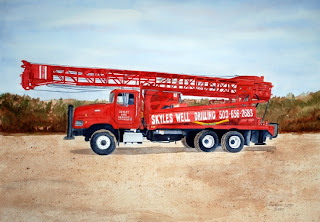 And for some other Father's Day inspiration, you might also be interested in Shirleen's Skyles Drilling Rig found here. Or how about Heceta Head for a someone who loves the coast. 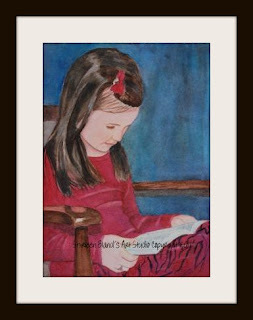 And even though this isn't a Father's Day print, I wanted to show you Shirleen's newest painting, "I Love to Read the Holy Scriptures" which would make a great baptism or birthday gift. And if you're going to be in or around central Washington state, come join us for the bike-a-thon. I agree that the wooden frame looks good with "Old Rusty." Good luck at the bikeathon! How gorgeous!!!! 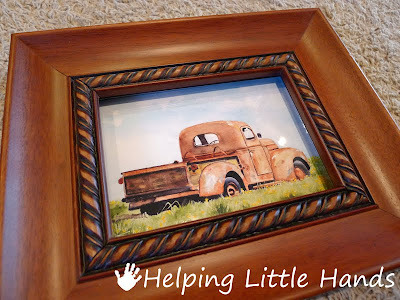 I too love the wooden frame! It brings out the photo! !